A quick turnaround for Premier League fans and fantasy team owners with gameweek 25 taking place midweek. Tuesday and Wednesday brings us our weekly fix of EPL matches prior to the weekend’s FA Cup fifth round games. This will be a quick rundown of a few picks to look at for the week. 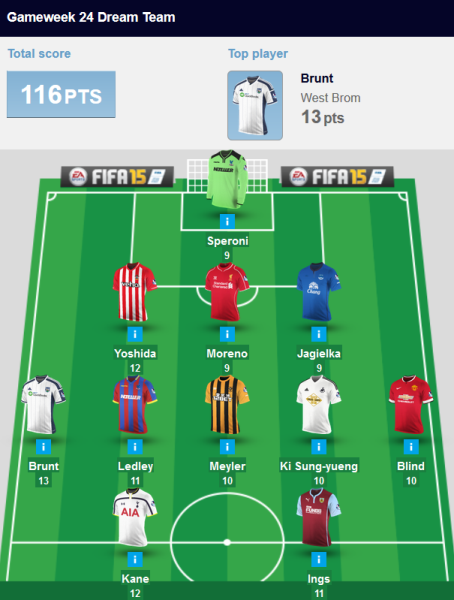 In gameweek 24 the dream team of the week saw plenty of surprises. About the only one on the team that was not a surprise is the in form Harry Kane. Among the many questions for this set of matches is whether any of these players can make it back on. You can read up on my week 24 Premier League predictions to get my picks for the week. Among those are some favorable match-ups for FPL managers. A few of those teams to look at include: Arsenal, Hull City, Sunderland, and Manchester United. Arsenal face the struggling Leicester City and both offensive and defensive choices would be good for this one. Hull City look to build on their 1-1 draw against Man City in facing off against Aston Villa. Villa may have finally scored, but Hull are a team that are just as desperate for points and do have several viable fantasy options. Sunderland has not had the greatest of seasons so far, but have started to turn things around more recently. Meanwhile they come up against the woeful Queens Park Rangers who have yet to win on the road. I feel pretty confident in recommending offensive or defensive picks from the Black Cats. Manchester United v Burnley should be a comfortable win for the Red Devils, however, the same could have been said of any number of other matches this season. In last week’s post I detailed some of the problems in picking any Manchester United players and I would again give my warning. There are other players to look at, but United has staked a claim on Old Trafford this season where they have only lost twice all year. As for players to look at, Alexis Sanchez is set to return and should be a starter for any FPL team. Harry Kane’s recent form may be slowed against Liverpool, but he is a must start until he proves otherwise. Saido Berahino could be returning to form and I would recommend picking him up alongside Kane and perhaps even Danny Ings. In this way you can spend the majority of your cash in midfield where the true points seem to be coming from. With Diego Costa still out and Robin van Persie and Sergio Aguero misfiring for most of the season the only other high priced forward to look at would be Daniel Sturridge. 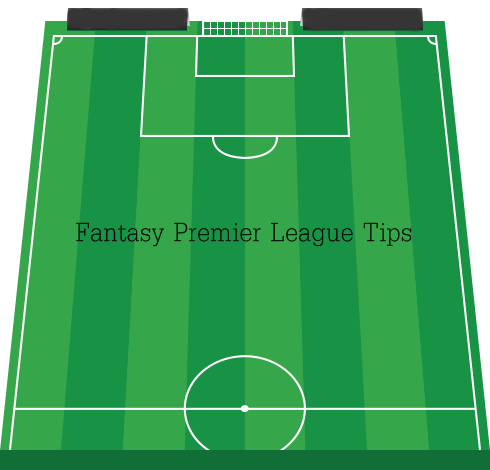 As always, good luck with your fantasy soccer teams this week and enjoy the midweek matches!